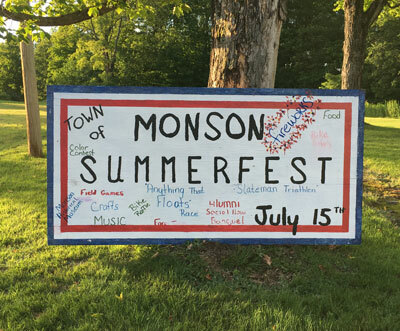 Monson will be holding its Summerfest beginning Friday, July 14 through Saturday, July 15. Note that Craig Denekas, Libra Foundation CEO, will be speaking at the Monson Historical Society at 11 AM. The MHS will also be sponsoring a spinning demonstration just outside the museum. New this year–a car show!